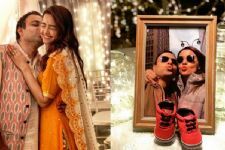 Actress Surveen Chawla had a pleasant surprise for and all back in 2015 when it was revealed that the actress has got married to Akshay Thakker. Since then, she has been a part of multiple projects, but here is another piece of news that is bound to leave you even happier. According to reports, Surveen is pregnant and is expecting a baby by April 2019. Yes! That's right. Only recently did the actress share the news with a leading entertainment daily and even though she is currently shooting, she is in good health. The actress mentioned how she is extremely excited about this new phase in life and cannot wait to experience it soon. We wish the couple loads of congratulations and Surveen, the best of health. 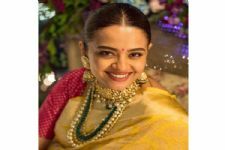 Mom to be Surveen Chawla flaunts her Pregnancy Glow in her Godhbharai Ceremony; Pictures Inside! #Stylebuzz: Surveen Chawla SIZZLES In This Tribal Print Bikini! Surveen Chawla Ecstatic About Working With Sujoy Ghosh! 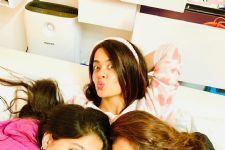 Kasak of Kasauti Zindagi Kii!!!! Congrats to her and hope she is back soon on the screen!!! !